Adam Levine wishes he'd known how "gross" growing up would be. Adam Levine wishes he'd known how "gross" growing up would be. 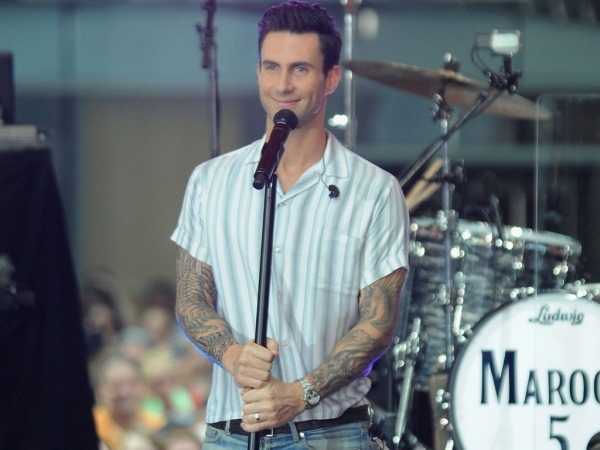 The Maroon 5 singer is one of the hottest musicians around and married Victoria's Secret model Behati Prinsloo in July. Although things have worked out brilliantly for the 35-year-old star, he wishes he hadn't been so awkward as a teen. "I think the thing I probably would have told myself when I was pubescent and sprouting things out of places I didn't want to be sprouting, is: 'It's a gross time. It's just gross. You're changing. You're transforming. You're questioning yourself and you're not sure who you are. You're getting hair on your chest, your voice is changing, you can't control anything and you're a hormonal disaster,'" he laughed to People magazine. "I would just tell myself, 'Listen, buddy, it's gonna work out. I can't tell you the details, but it's gonna be great. You're going to be happier than you can ever imagine.'" Now Adam is looking into the future with 25-year-old Behati. In fact, he has things all planned out for the happy couple.